(Reuters) - A day after Wisconsin Republicans approved a package of bills intended to restrict the powers of incoming Democratic leaders, Republican lawmakers in Michigan advanced a similar effort despite an outcry from Democrats. The Michigan state Senate voted on Thursday to strip the power to oversee campaign finance from the newly elected Democratic secretary of state, Jocelyn Benson, instead handing the authority to a bipartisan commission. The vote came after the state House of Representatives on Wednesday passed a bill that would allow lawmakers to sidestep the attorney general in litigation involving the state. Meanwhile, North Carolina's Republican-led state Senate approved a new strict voter identification law on Thursday, after the state Assembly did the same on Wednesday. Republicans have rushed to pass that bill before January, when they will lose the legislative supermajority allowing them to overturn Democratic Governor Roy Cooper's veto. In each case, Democrats have cried foul, arguing that the last-minute maneuvering ignores the will of the voters. Republicans in both Michigan and Wisconsin will see eight years of total control of state government end in January, when Democrats take over the governor's mansions and other top executive posts. "This power grab is a deliberate attempt by legislative Republicans to silence the voices of the 4.3 million Michiganders that made their choice clear in the last election," Michigan Representative Christine Greig, who will become the Democratic minority leader in the House in January, said in a statement on Wednesday. 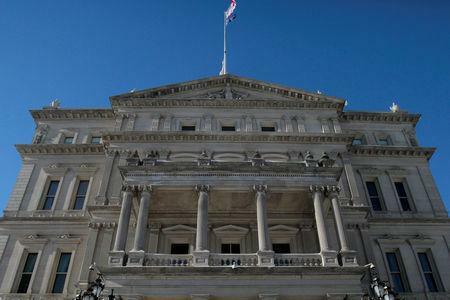 Republicans in Michigan and Wisconsin have defended the laws as good-faith efforts to improve state government. In North Carolina, where voters in November approved a voter ID constitutional amendment, Republicans said they were simply implementing the people's will. The measure comes as the state is investigating alleged mishandling of absentee ballots by political operatives. Wisconsin Republicans passed a raft of bills that would allow lawmakers, rather than the attorney general, to decide whether to withdraw the state from lawsuits. That measure is intended to stop Governor-elect Tony Evers and Attorney General-elect Josh Kaul, both Democrats, from following through on campaign promises to end Wisconsin's challenge to the federal healthcare law known as Obamacare. Republican Governor Scott Walker has indicated he will sign the bills before leaving office at the end of December, though his office said on Thursday he was reviewing the legislation. Democrats expect to challenge some of the bills in court. In Michigan, the Republican-led legislature on Wednesday hollowed out minimum wage and sick leave laws, three months after it passed those statutes as part of a political strategy to keep them from appearing on the ballot as a voter referendum. That move in September made it easier for Republicans to alter the laws after November's election, though Democrats have vowed to sue. The legislature is also expected to pass a law allowing it to intervene in litigation involving the state, a power normally reserved for the attorney general's office, which will be occupied by a Democrat starting next month.